Weekly Photo Challenge: Happy Place – Travel. Garden. Eat. 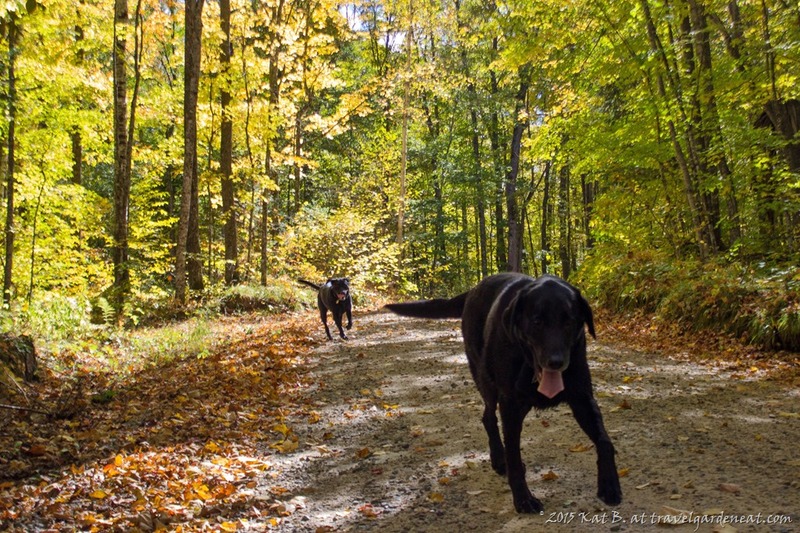 Hiking along the road near the cabin in the northwoods, autumn’s golden leaves crunching below our feet as our four-legged companions gallop to their heart’s content … up north is my happy place. a place made of cabins, pine trees and lakes. your special place that brings peace of mind. your cares are all left behind. It’s no mystery where the northwoods start. you’ll know in your heart. This post was in response to the Daily Post’s Weekly Photo Challenge. “Happy Place” is this week’s theme. Everyone is welcome to join in the Challenge; further details on how to participate and links to others’ responses are found here. I totally get the picture! It’s a happy place all around all the time. The dogs are great! I love the sound of leaves under your boots as you hike…Such a great response to the photo challenge. Good to hear from you, Charlie! Thanks! I can see why it is a very happy place, Kat! I love your four-legged hiking companions! “Up north” in northern Minnesota — good point, there are many different “up norths” depending on perspective! That is a high compliment, thanks, Tina! I absolutely love this! Incredible photo! Thanks much, Reyna — the pure bliss of dogs creates happy places in many settings!